Greetings, Internet! As usual, I'm Lief Katano, and on this pseudo-Satanic day I'm bringing you the latest news on the absurdly popular monster-collecting multimedia series Megami Tensei Digim - I can't even make that joke Pokémon! Eight minutes of pure, raw information. What could it be? My bet's on the third version of Sun and Moon (or whatever analogue we're getting this generation), or the latest FtP concoction(s). DPPt remakes are also possible. Hedge hopes for a Switch game. Probably not Ranger 4. Sorry, Mey, but it's just not happening. Have you ever realized just how long a minute can be? The title music stars up, with Ishihara! It looks like we are getting a Switch-related game. Yep. Pokkén Tournament DX! I don't know why the guy in the commercial says "Pokémon battle like the old days" unless the old days are, like, two years ago or something. That's, uh, the best insight I can give from the commercial. You can play with one Joy-Con, I guess, and it looks like everyone in the arcade port is in - oh, and some new fighters from Generation VII, like Decidueye. Also I think I saw Beedrill for a second but that might just be my Beedrill love making be see things. Oooooh, there's also new Pokémon games coming out - Ultra Sun and Ultra Moon. Looks like the prism guy (Necrozma?) can fuse with Solgaleo and Lunala. There's also a bunch of new animations, it looks like, and some sort of more epic-looking Z-Move. Claims of "Pokémon not in Sun and Moon" are included but I'm going to guess it's Necroleo and Necroala. More info on USUM from Masuda. It's like a third version, except...split in two. Hrm. Available November 17. Also we're getting Gold and Silver on the VC...but not Crystal. Hrm. You can still use Pokémon Bank. Both them and Tournament DX are available September 22. Aaaaaaand that's it! Pokkén Tournament DX was...not the Switch game I was hoping for. DX Might nab it, and it has the new fighters from the arcade, so that's nice, at least. Ultra Sun and Ultra Moon are nice, insofar as that Necrozma (or, as spellcheck wants to call it, "Necroman") isn't getting the shaft like Zygarde (rest in piece, mecha Jesus), but it being split into two versions is kinda lame. Necessary, I guess, given that the evolution method for Pokémon introduced in Sun and Moon are version-dependant, but that was lame in the first place. Also it looks to Not Be A Sequel, which, given some sequel hooks in SuMo, is kind of...lame. and I also don't like the fusing legendaries thing. Wasn't very interesting in Black and White 2 and it's not really doing any appeal now. This whole thing kind of feels like B2/W2 the only difference being with Ultra SuMo not being squeals. 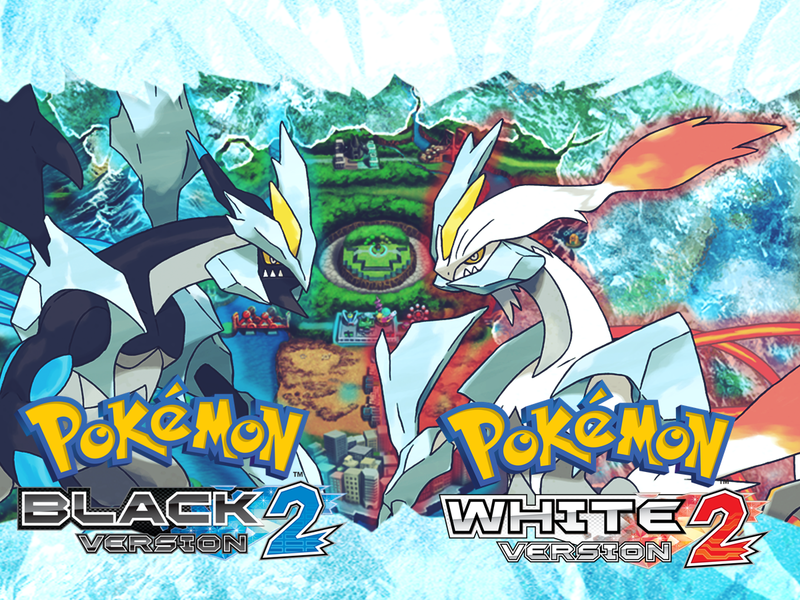 So it's like BW2, but not BW2? Oh boy.... I'm not a huge fan of alternate timeline shenanigans... If they aren't direct sequels, I'll probably skip them if they don't have much to offer that's new and/or exciting. also crystal isn't coming to VC probably because of it's online features in the japanese version. Honestly, I'm a huge fan of Game Freak toying with the formula, so I have pretty high hopes for USUM. I'll probably pass on the VC GS. With RBY, there's the excuse of nostalgia and the fact that the remakes didn't add much of value apart from updating it and the boring Sevii Islands, but HGSS are straight-up better than GS in every conceivable way and are, to this day, one of my top pairs of Pokemon games. So yeah, if I want some Johto, I'm already well-covered. There is a good reason to get GS: way better odds on breedable shiny Pokémon. Y'know. If that's your thing.